Ellen DeGeneres is one of the contemporary masters of understated comedy. She does not use crazy voices, comedic characters, impersonations, props or other comedic devices in her comedy. DeGeneres relies upon a relatable down-to-earth approach. Learning how to use understated comedy like Ellen requires learning how to use a few choice words in a subtle way. Once you understand her comedic secrets, you're well on your way to developing an understated comedic routine that follows her distinctive style. Self-deprecation is one of the key ingredients in Ellen’s understated style of comedy. Many people in show business are plagued by self-doubts and insecurities. Arrogant people teeming with self importance and self worth, on the other hand, are not unusual in show business either. Ellen's self-deprecating humor plays off both extremes. The art of self-deprecation walks a fine line between false humility and genuine modesty. Sounding the right comedic note falls somewhere in between the two. Poking fun at your flaws is a good way to ingratiate yourself with the audience and get a laugh at the same time. The subject matter of Ellen’s humor is usually everyday experiences and scenarios. Ellen's comedy often focuses on cellphones, annoying people at the movies, trouble sleeping, dogs and cats or similar subjects. Choosing ordinary topics gives the audience something with which they can identify, and it sets up a joke without an elaborate use of words. Ellen’s style of understated comedy is context dependent and it works because she knows her audience. Consider the age, ethnicity, and background of the audience or group for whom you plan to perform. The punch line of a joke can be something predictable delivered with obviously feigned enthusiasm, or an unpredictable one that the audience does not see coming. In other words, it is not necessary to go into a lot of antics or explanations. A simple well-placed or unsuspected word is all that is required to elicit a laugh. One setup that Ellen uses is to go for the obvious, but then she detours with something unpredictable. The unpredictable has power in itself to make people laugh. Ellen employs facial expressions, hand gestures and bodily movements to convey meaning. 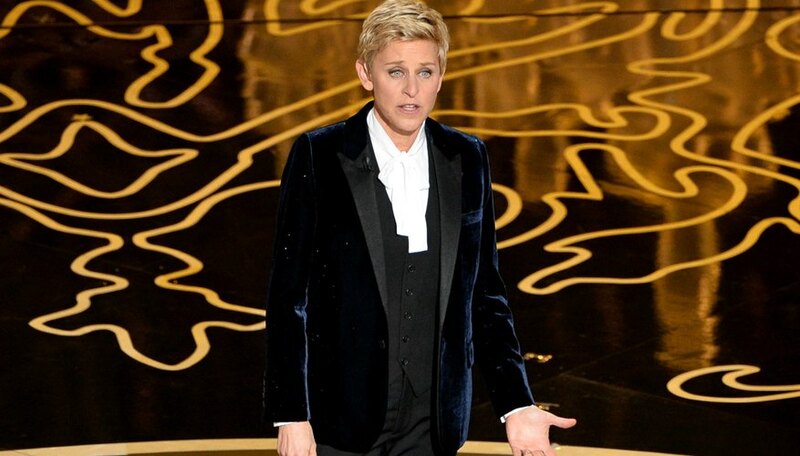 Ellen’s body language carries a lot of the weight in her comedy. Communicating with body language allows her to get a comedic point across with fewer words. A raised-eyebrow or a startled expression helps propel the joke. For example, Ellen uses exaggerated facial expressions to poke fun of the way people gorge on huge tubs of popcorn at the movies. She then picks the last remaining invisible pieces of popcorn from her shirt and bottom. The laughs keep coming for a minute or to without Ellen saying a word. Another example is the common experience of thinking someone is waving at us. People wave back only to realize that the person is waving to someone behind them. Ellen uses her body and face to capture the sense of embarrassment people feel in such situations.